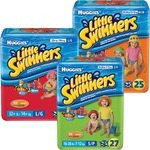 For sure, if your child is waking in the night from wetness, BUY THESE!! I had used the cheap walmart brand, and was finding that every morning my son, his bedding and clothing were soaked. He would wake up at 4 am crying. A friend bought these to convince us to invest in them. ABSOLUTE MAGIC! my son now sleeps til 7:30, minus the occasional early morning poo. And the waking up crying, has completely subsided as the wetness is kept off his skin through the night! What a great product and works perfect! Huggies Overnights works great since buying these my son hasn't wet himself and sleeps through the night with no problems. love the winnie the pooh on the front and the elastic in the back. I have 3 children and have always bought Huggins brand for them. The overnights has the best protection and keeps your sheets dry. All others I had tried We're not as protective. I am a pampers girl for sure. one night I sent hubby for diapers and he came back with these. I tried them and we are hooked!! They are more expensive but they also hold a lot more.No leaks means better sleep and if you use less diapers than it will be cheaper in the long run. 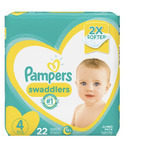 I've tried other brands and am usually a Pampers mom, but for night time, these are the best. No leaks, can hold a lot, no allergic reactions. Some other "natural" brand held up a little bit better, but was waaaayyyy pricier. Great bet! I bought these to try and I'm never going back. We use pampers regularly and tried Pampers nighttime but we were still changing our babies diaper in the middle of the night because of leaking. These Huggies diapers are the best. We started using them two months ago and haven't had a leak since.. Started using these when the regular diapers just wouldnt hold as much. It was more about preventing leaks overnight and I thought these were awesome! Worth the extra money and even better when they were bought on sale. I will for sure buy them again. These diapers are really expensive but they are very absorbent so I like them. These are super absorbent and help to keep Baby dry and comfortable through the night. They are expensive but, considering you usually only use one a day, they are totally worth it. After all, a good sleep is priceless!